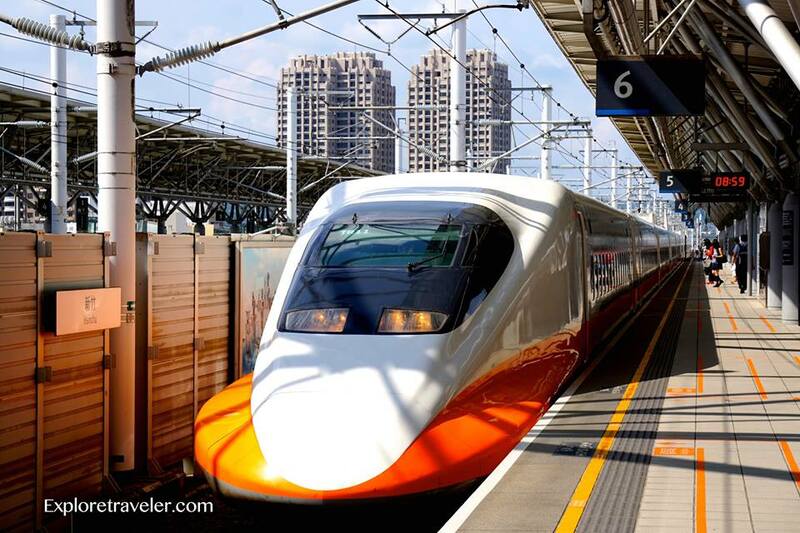 Rapid Transit (THSR) is effective, efficient and reliable transportation. Taiwan’s Rapid Transit was completed on January 5, 2007. These high-speed trains run at speeds up to 186 mph. They serve Taiwan from Taipei to Zuoying in only 96 minutes. They are clean and come complete with a small food service on-board. Rapid Transit has spread throughout Taiwan very quickly. Taiwan has been able to add 211 miles of track in just seven years. That alone is amazing. Many places can not add 8 miles of track in that time. That is more track than the complete New York City Sub-Way System. It is astonishing! Rapid Transit reaches almost 90% of Taiwan’s population. That is amazing! With creative planning they have been able to set up a variety of transfer options for the traveler. No one is left hanging at the station. At various stations you will find free shuttle buses and commuter metros taking you into the interior and mountain regions. The conventional rail system also hooks into the Rapid Transit at different stations. While it is a work in progress, it is off to an amazing beginning. One of the benefits of this system has been the opening up the country to more people. Jobs have been created and it is beginning to help with the traffic congestion in some areas. Taipei currently handles more than 1,500,000 commuters daily. What an accomplishment! Rapid Transit has opened up Taiwan for tourists. With a limited number of days to see all that you can, Rapid Transit has been a gift to tourism throughout the island. With such efficient travel you can watch as the train goes from one end of Taiwan to the other. The scenery is spectacular! You can get off and hike inland. See and experience the majestic mountains. Visit the villages that call these mountains home. Enjoy all the spectacular birds and animals that live in this rain-forest. Spend a day or two in Aboriginal Taiwan. Taiwan’s Aborigines have an exciting history and culture to share. Laughter, music, dance, and excellent food are just part of the bargain. These villages have museums, cultural exhibits, and live entertainment. You will meet some of the friendliest people in Taiwan. Accommodations vary from clean and well-kept hostels to spectacular resorts. There is so much to see in Taiwan, that only time and imagination can limit your experience.